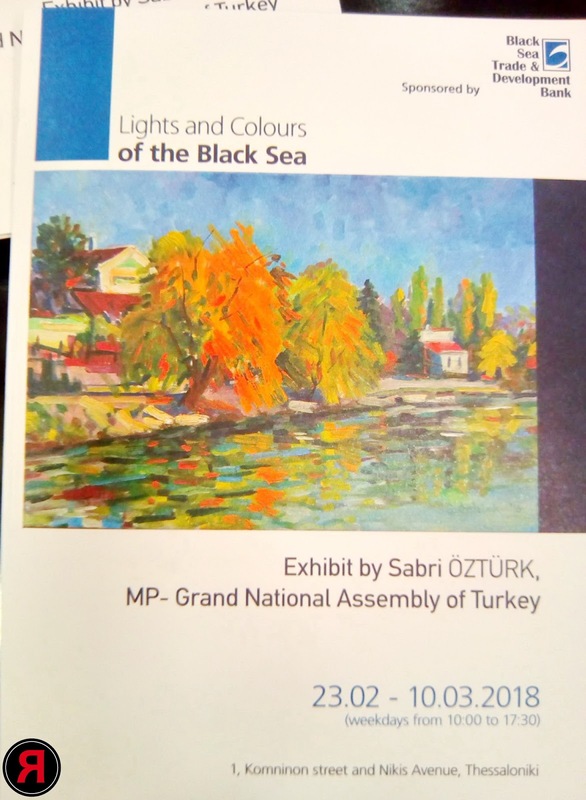 On 23 February 2018 at 19:00, the Black Sea Trade and Development Bank (BSTDB) was the Opening of the art exhibition “Lights and Colours of the Black Sea” presenting the works of Sabri Öztürk, a Turkish painter and a member of the Parliament of the Republic of Turkey. The exhibition is the first regional cultural event hosted and sponsored by BSTDB at its premises in Thessaloniki. It will be open to public on week days until 10 March 2018. Mr. Sabri Öztürk was born in Giresun at the Black Sea coast and started painting from his childhood years. After completing his university studies, he worked as a lawyer and was involved in social and charity activities. He served at the Municipality and Regional Administration of Giresun before his election as Deputy for Giresun constituency at the Grand National Assembly of the Republic of Turkey. Mr. Öztürk is the author of several publications on culture and art issues.